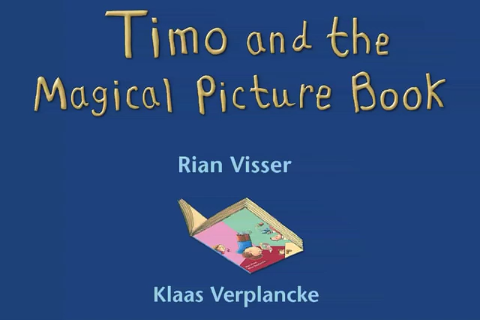 Timo and the Magical Picture Book is one of those iPad books that has it all - great illustrations, fun animation and a top-notch story that enchants from beginning to end. 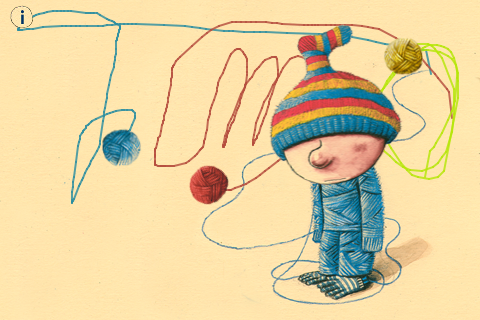 Timo is a little boy who receives a magical picture book from his uncle. A note says, "Do not shake the book. That mixes everything up." But Timo shook the package the minute it arrived. Oh no! The book is 'magical' because 'once you open it, you will be inside it. 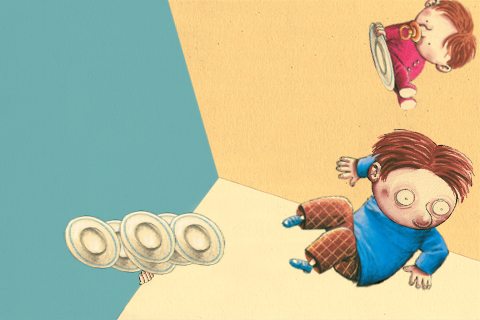 Before anyone can stop him, Timo opens the book and suddenly the whole family is spinning. The book is all mixed up, though. Plates are falling from the cupboards, mom is wearing a shoe on her ear while watering the plants with milk and Timo fills with air instead of the balloons he is blowing into. 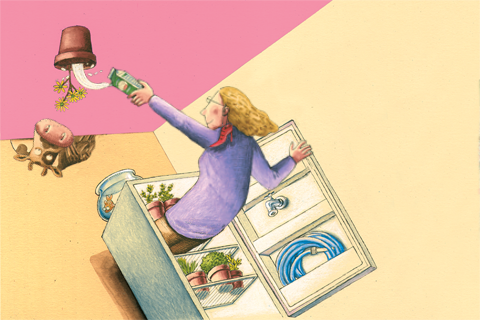 The book has a few interactive treats hidden, too, like tapping mom's arm to see her water the plants. When the book finally closes, at the end of the day, the family sends the book back to uncle Nick. Timo mails it, after mischievously giving it one more good shake. The only thing keeping this book from being a 5-Star title are some small 'technical' issues. There is a momentary darkening of the page before & after the animation starts. This doesn't happen with every page, but it is a little distracting. The page load times are also a bit slow, but the animation is worth it. 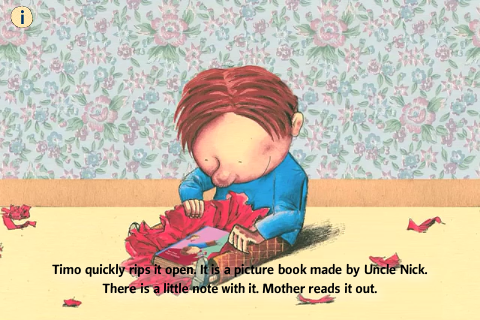 However there are a few scenes with some strange artifacts visible as the animation plays, especially the page where Timo receives the gift from his baby brother. The interactivity is also a little touchy. I was not able to get the feature to work that involved blowing into the microphone, for instance. But all of these issues could easily be fixed in a future update. I think I only noticed them because this is otherwise such a stellar title. Overall this book is fabulous. The story is truly original with beautiful hand drawn illustrations - the kind with so much great detail that you notice more and more with re-reading. The animation & interactivity are also very engaging but not in a way that distracts from the story. It even makes a great bedtime read. So if you're looking for a book your child will come back to over and over, this one is not only a sure bet, but also one adults will enjoy. Timo receives a 'magical' picture book from his uncle Nick. It says 'do not shake' but it's too late - Timo already shook the package when it arrived. The way the book works, the minute you open it, you are inside it. But everything is mixed up inside the book. Mom is wearing shoes on her ears, the room is upside down and his little brother is floating around on a plate. The book even thinks it's Timo's birthday when it is still really a day away. At the end of the day, the book closes and mother sweeps up the mess. Then they pack the book back up and address it back to the uncle. When Timo goes to mail it, though, he gives it one more good shake before dropping it in the letter box. Auracle HD - Miko "Moves Out"